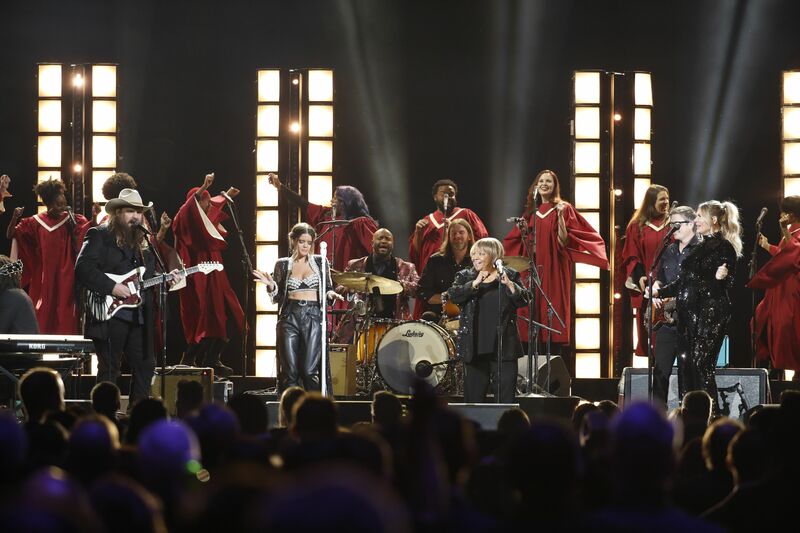 The Nashville Urban Choir performed at the recent CMA Awards, as part of a collaboration with Chris Stapleton, Morgane Stapleton, Marty Stuart, Maren Morris and Mavis Staples. Shannon Sanders and the Nashville Urban Choir have released a powerful new anthem, “Fight On.” The song is being released on Feb. 8 in honor of and in celebration of Black History Month. Written and performed by Sanders, “Fight On” is the first of many releases to come from the newly-inked partnership between Blue Rose Music and Sanders. “Nashville has become a national story for many reasons, and we saw a great opportunity with Shannon to work with someone who has deep roots in the city, with a sterling reputation and a track record of hit songs, who makes it possible for us to plug into a pool of undiscovered talent,” says Blue Rose Music founder, Joe Poletto. The video for “Fight On” features footage of the choir performing at the legendary Fisk University Chapel juxtaposed with scenes of Sanders, a lifetime Nashvillian, attacking a stream of vocal gymnastics in gritty, insider locations around town. The clip also features an epic scene of Sanders performing on Nashville’s iconic John Seigenthaler Pedestrian Bridge. The Nashville Urban Choir, the creative brainchild of Sanders, symbolizes a growing and maturing city, one with a newfound respect and appreciation for the stylistic breadth of music that has always been created in Nashville’s urban neighborhoods but is just starting to be recognized. Featuring a revolving cast of independent and up-and-coming artists from a variety of genres, the choir’s diverse voices come together to experience moments conceived and executed by Sanders’ vision. They can be heard on upcoming recordings from Kaleo, as well as several Dave Cobb-produced albums including Rival Sons and Robert Randolph. The group capped off 2018 with a performance at the 2018 CMA Awards with Chris and Morgane Stapleton with Gospel legend Mavis Staples, Maren Morris, and Marty Stuart, who played Pop Staples’ guitar.